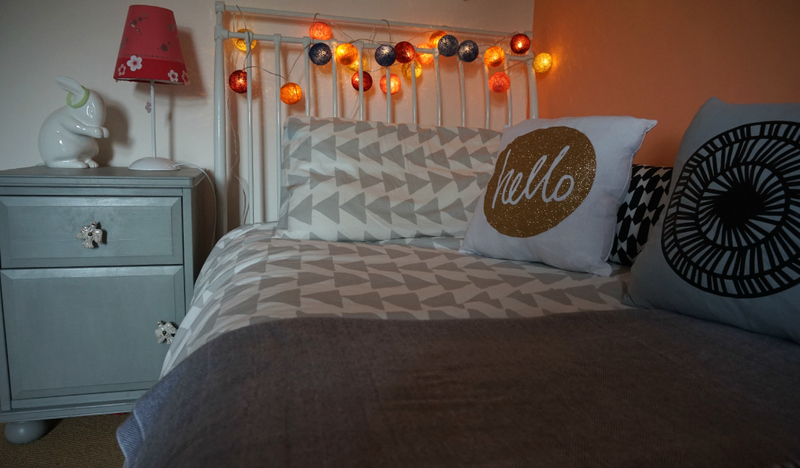 We’ve been working hard on the Tween Bedroom Makeover recently, but have hit a little setback completing it. The wonderful Scandinavian fabric I have ordered for the curtains has had to be shipping in from Sweden and has taken longer than expected. So I can’t yet give you a full reveal. Instead, however, I thought I’d tease you by showcasing a few of the accessories and small touches I’ve been adding in as we’ve gone along. To give you some background, this room is for my 10 year old daughter who, like many girls is growing up fast. She loves the Scandi look and so we’ve incorporated some of that into our makeover. I wrote about our colour palette here, and then showed you the paint we had used from Valspar. We are so pleased with the colour choices; they are fresh, modern and youthful. The room has a wonderful warm glow in the evening light, which she seems to love. So, over to a few little pieces, some of which I’m reviewing, and others have been personal purchases. This lovely hanging Love Letter is from Jonny’s Sister, a British gift store selling beautifully designed, and handmade products. The love letters are particularly popular, allowing the customer to choose from a variety of fabric combinations to suit both genders and all age ranges. 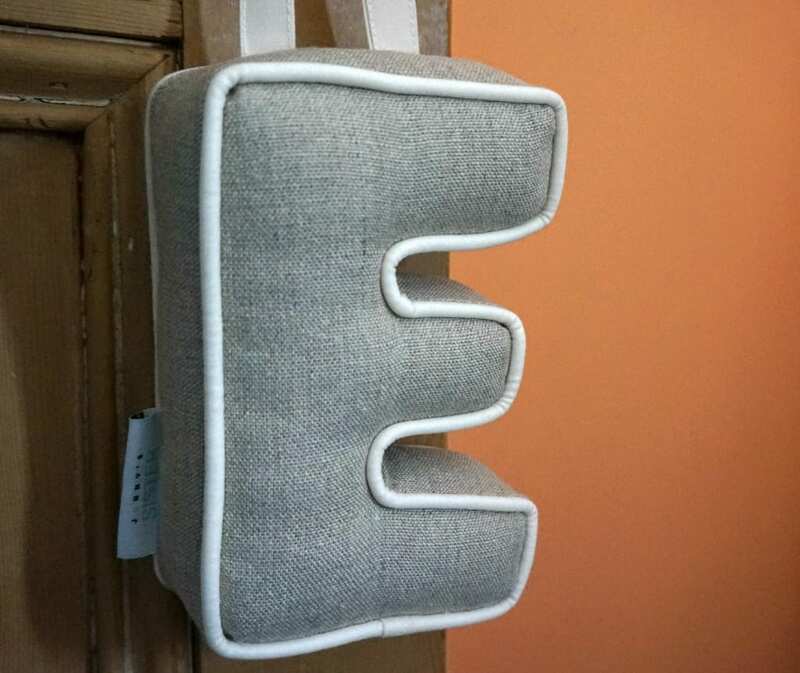 Sometimes it’s the little touches that really finish a room, and this Hanging E really adds a personal touch to the space. It’s beautifully made, sophisticated and stylish, don’t you agree? Do check out their website if you’re looking for personal or home gifts, particularly as we lead up to Christmas! 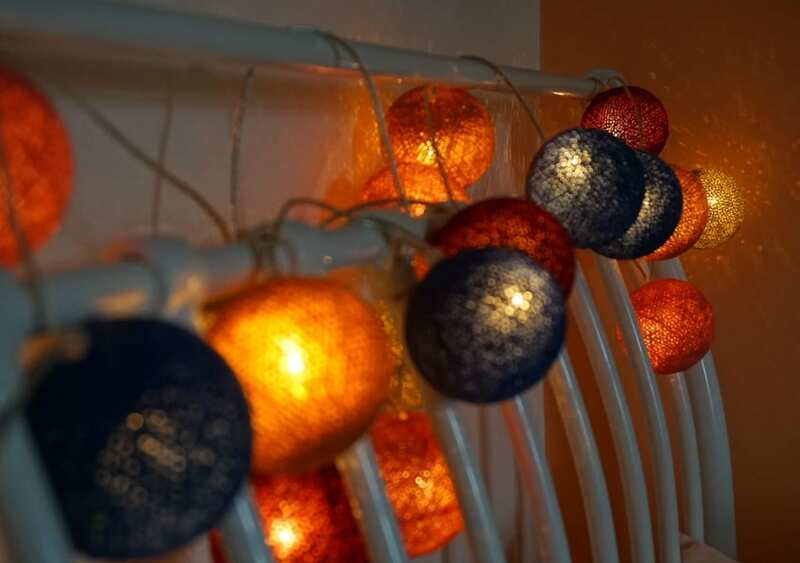 You may have seen these before, but I do love these striking fairy lights, or mood enhancing glowing orbs from Cable and Cotton. 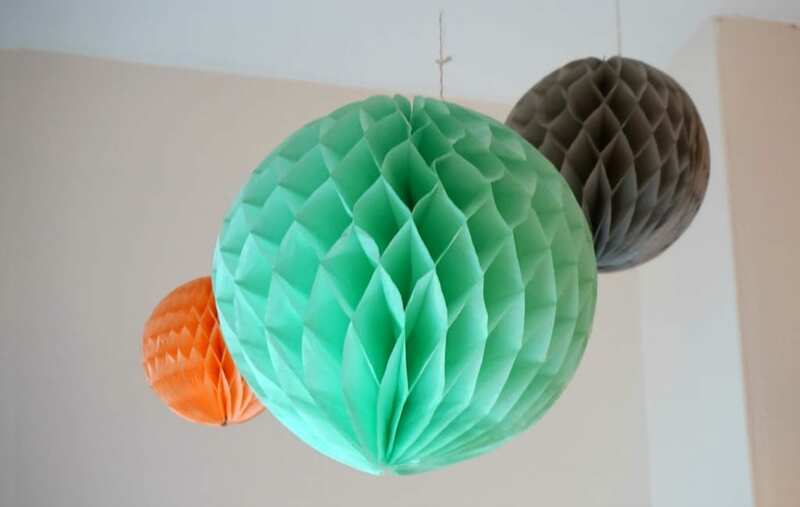 Priced at around £22, you can select your own colour combination of upto 20 lights and they will put them together for you. Or you can choose from the pre-selected sets as we did. This set is the Mexican look, which complements the room well, and fits with the rest of our colour scheme. 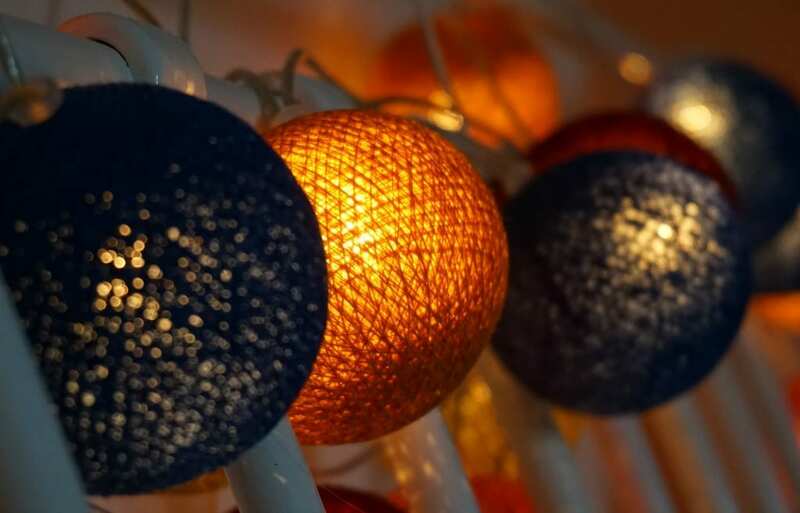 You can also feel good buying Cable and Cotton lights, knowing that you are helping to support a community of skilled women in Thailand who make them. The bedding we’ve chosen for the room is from Urban Outfitters. I’ve found it very difficult to source some geometric bedding on the High Street. Habitat had some but not in a single sizing, so I was thrilled to see this at one of my favourite Home stores. This grey arrows set retails at £45 and is perfect for a boy or girl who loves the Scandi, graphic styling. 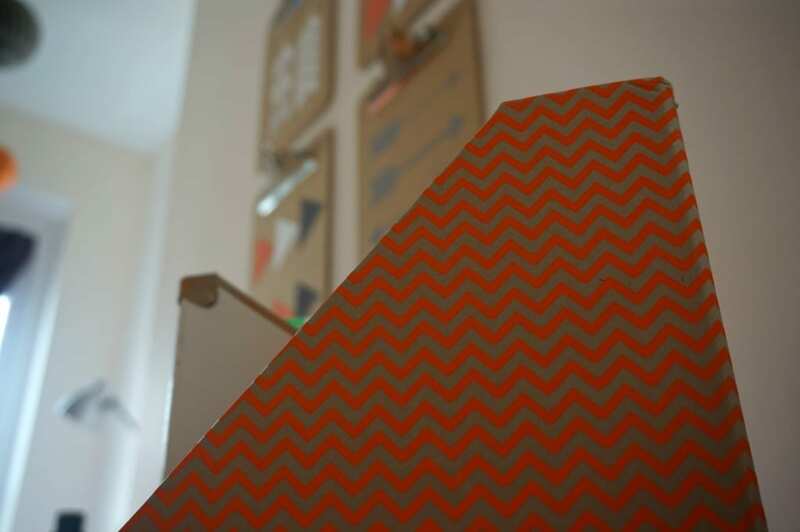 The bedside cabinet I upcycled from an old IKEA piece found languishing in the dusty loft. With a little Annie Sloan paint and a bit of elbow grease, I think this looks top quality now! 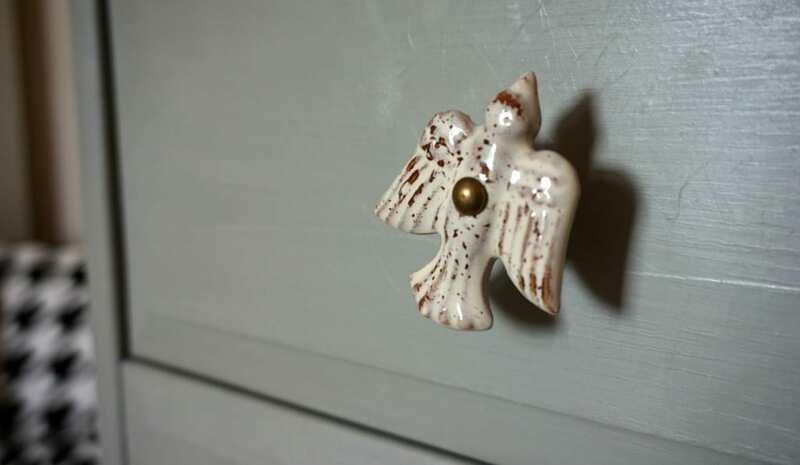 The beautiful dove cabinet knobs are from a wonderful little interiors shop I discovered on my holidays in Cornwall this year, Willow and Stone. And the cushions. Some of these I’ve made myself and will be featuring them on the blog later in the week. The others, namely the black and white ones are inexpensive examples from IKEA and Tesco, and cost less that £5 each. You may know about my love for Honeycomb balls after I featured this fabulous set, and they were put into the eBay film we did earlier this year. So it was natural that I should be a few into the tween bedroom makeover. This selection is from The Hambledon, whom I first came across at Blogtacular in the Spring, and cost me about £15. 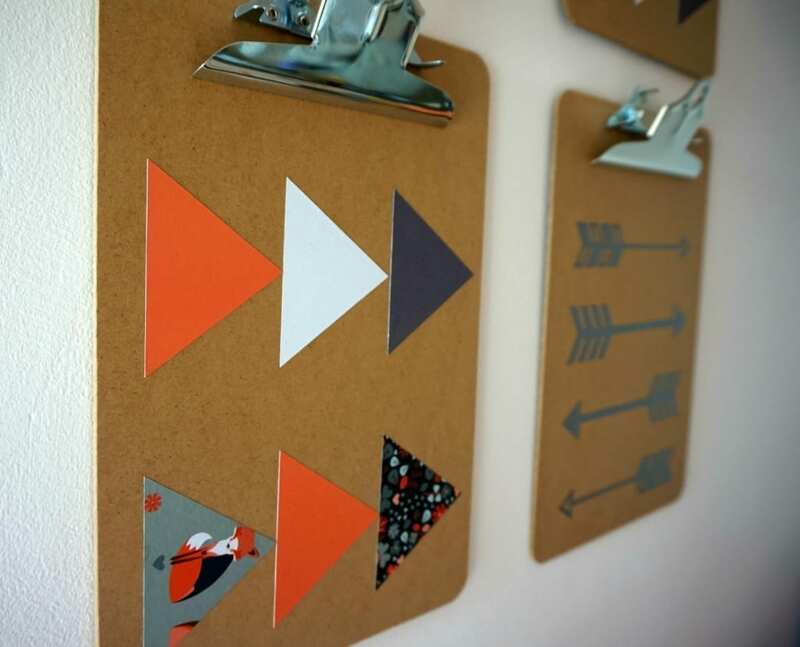 I have already blogged about how I made this set of decorative clipboards using the Cricut, and already I’ve noticed how well used they’ve been. I’ve just made a little more wall art for her room with the Cricut and will show you that in another post, but I’m really proud of these. I wanted to bring the look together a litte with some stationery, and picked up these lovely pieces at HomeSense, which matched the room beautifully and really picked up on our Coral theme. I love HomeSense. 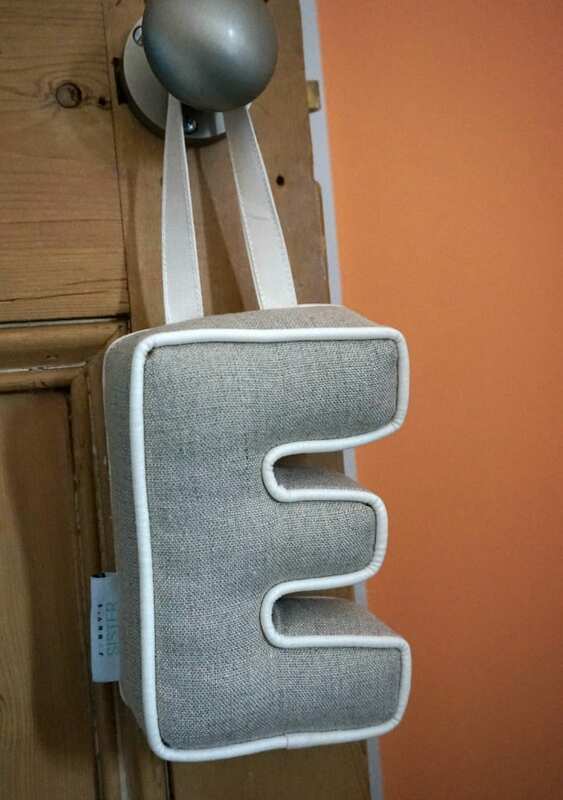 It’s so easy to pick up something unusual, and once you’re in the habit of making immediate purchases (get it when you see it!) it can be a very satisfying shopping trip. 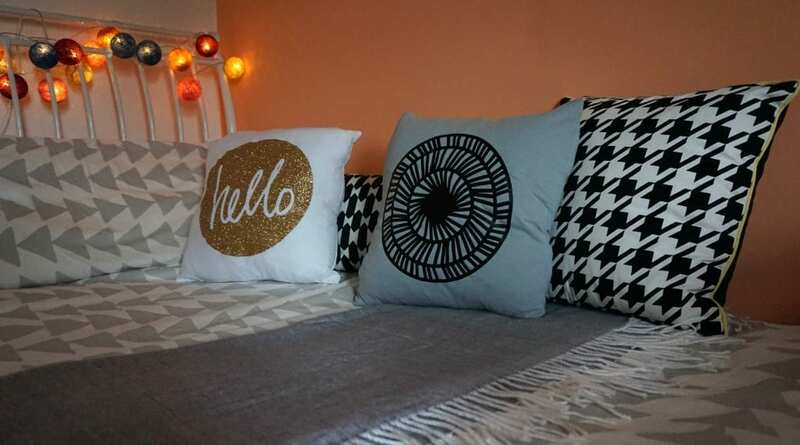 So what do you think of the little touches in the Tween Bedroom Makeover? Do let me know if you’d like further information on anything I’ve used. The Big Reveal will happen once we have some curtains! Watch this space. Disclosure: Items from Urban Outfitters, Cable and Cotton, Jonny’s Sister and Homesense were gifted to be included in the makeover, but all comments are honest and genuine. I am a Cricut Blogger and feature their products on the blog periodically. Thanks so much Carolin, that’s really kind. It has felt like a labour of love! Thanks Becky. The final pieces are going in this week, and then it will be done!